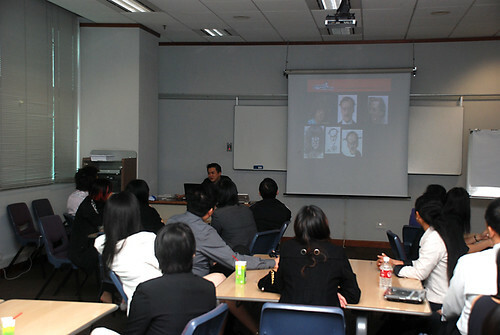 After so much preparation on the workshop, the day finally came. 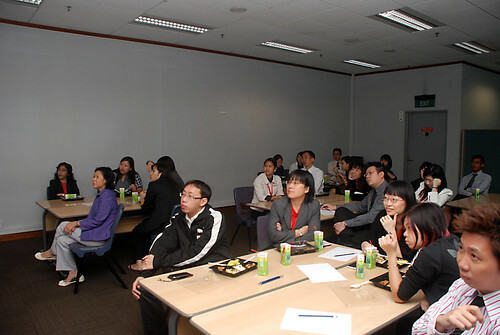 Thus it was more like a crash course for the students. 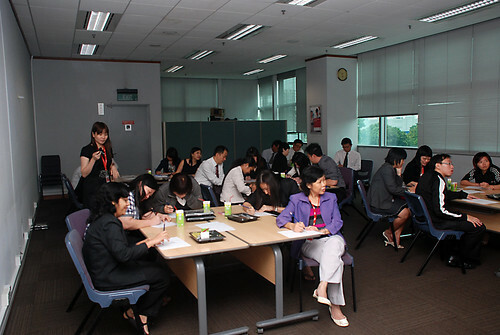 Venue is AIA at Alexandra. 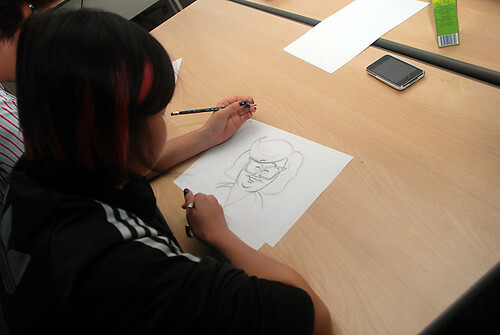 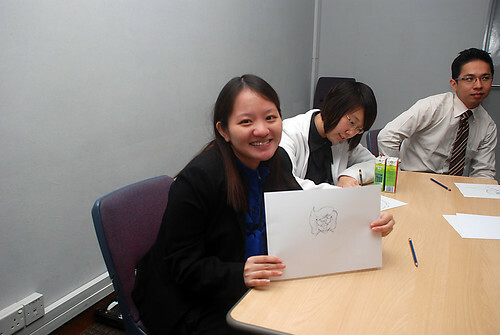 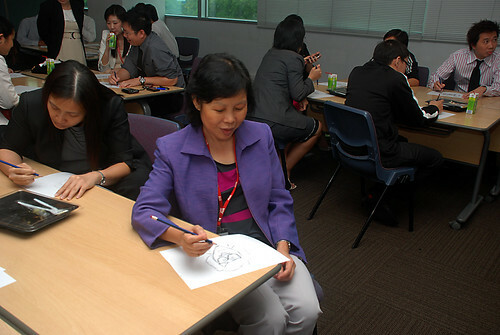 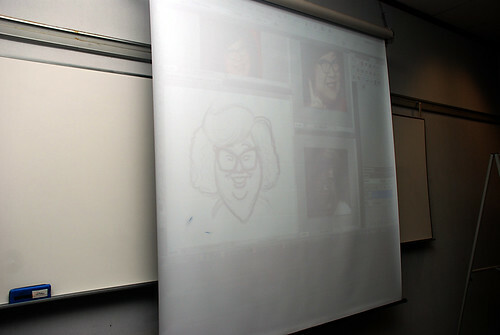 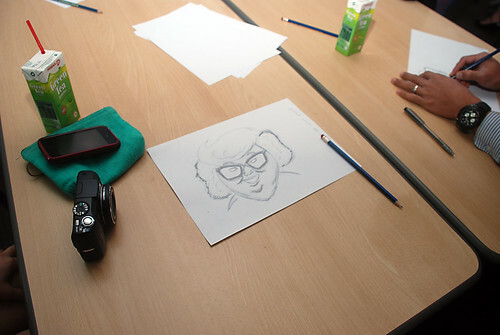 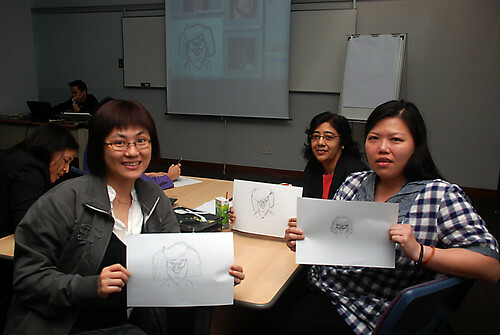 This workshop covered "What is caricature?" 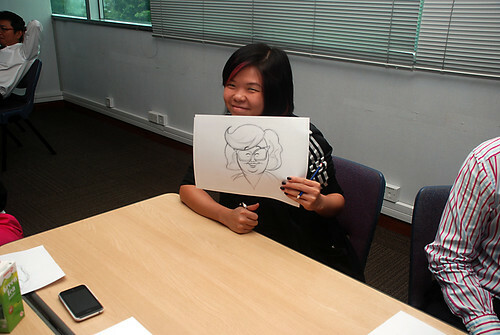 Types of faces and how to read them and translate them into caricatures? 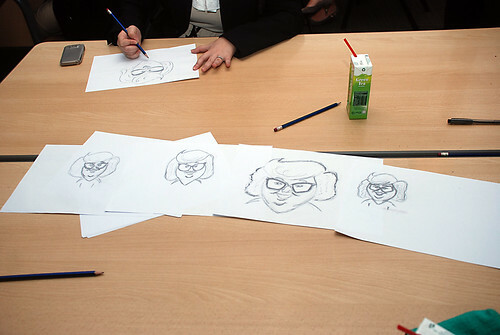 A demonstration of how to draw a caricature. 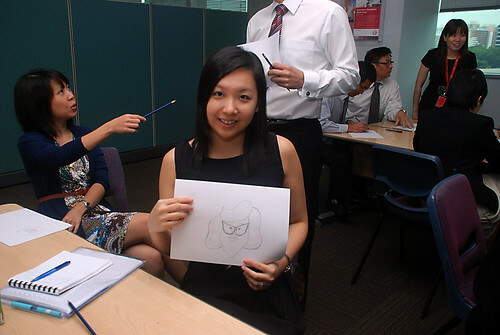 In this workshop, I picked Lydia Shum, which I think she should be one of the simpler face for a beginner. 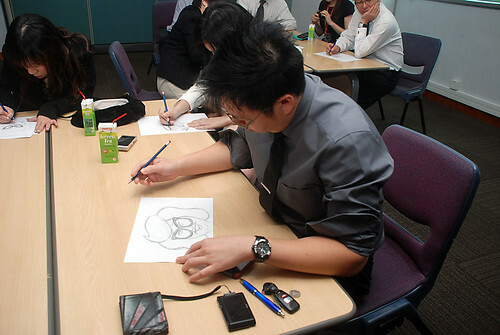 I did a step-by-step for the students, and they followed. 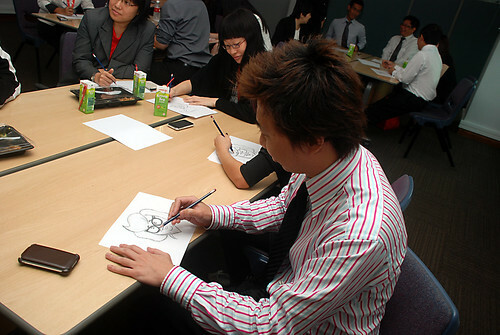 It seems that this subject works. 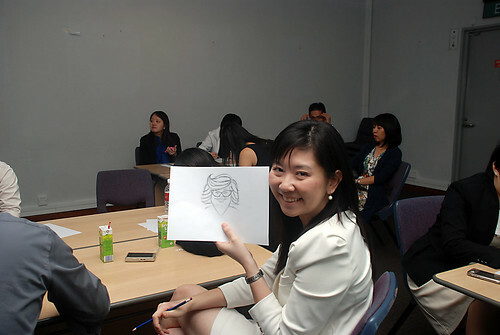 I can see Lydia Shum's caricatures on every tables. 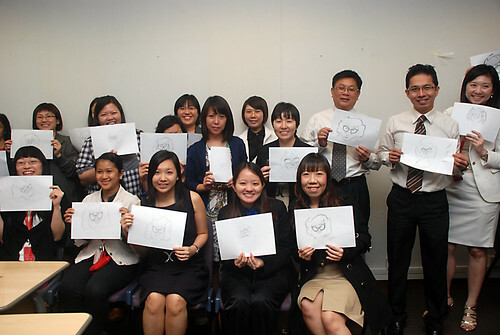 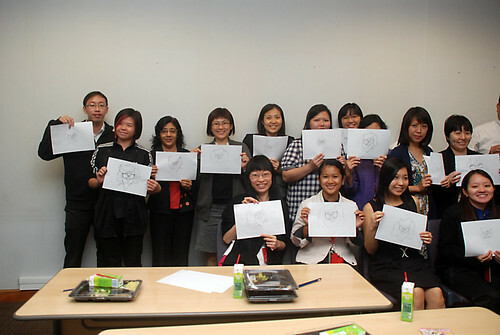 A group shot of the class with their caricature artworks. 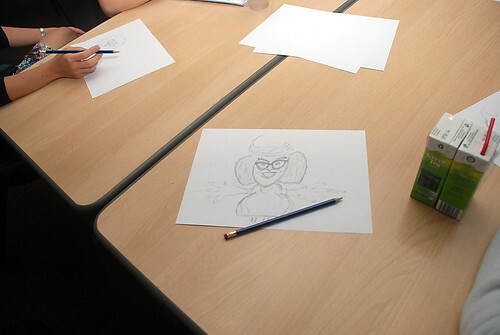 Not my first Caricature Workshop, but it is a more successful one to me. 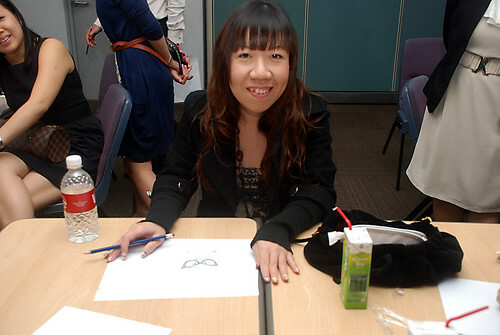 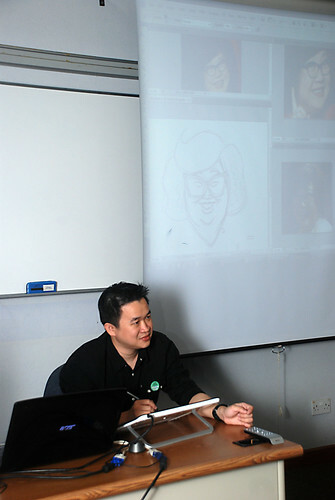 I did one Portrait and Caricature Workshops for Serangoon Junior College , and another Caricature Workshop for Sony many years back.